Are Climate Bullies Afraid to Bet Me? Those who reject mainstream climate science have a bully problem. They talk big. They harass and threaten scientists. They publish angry anti-science blogs and vitriolic editorials. Deniers with political power issue subpoenas, file investigative demands, and even hold kangaroo hearings. The lightweights write anti-science letters to the editor of local newspapers, tweet insults, swarm people on social media, and send hate mail. They all claim with utter certainty that there is no possibility of serious risk from human-caused global warming. Yet when it comes to taking a personal risk to prove they mean it, they back down. Like all bullies, they are cowards. The worst bully on the block is the Heartland Institute, a fossil-fueled anti-science pressure group based in Chicago. Scientists who challenge Heartland do so at their peril. I got my first direct taste of Heartland's nasty medicine in 2011 when I criticized one of its most prominent experts for failing to correct a false claim he had published about Arctic Sea Ice. Heartland President and CEO Joseph Bast immediately wrote a column for one of my state's flagship newspapers calling for me to be banned from future debates on climate science. His sidekick, James Taylor, attacked my reputation, even claiming that I don't actually have a Ph.D. (since corrected) and that I have no formal training in climate science. For many years I have tried to encourage those who reject mainstream climate science to stop attacking scientists and instead to engage in sincere scientific debates. I have invited Heartland Institute experts to submit abstracts to scientific conference sessions I've convened. They are not interested in such collegiality. They won't even allow me to speak at their own conferences. 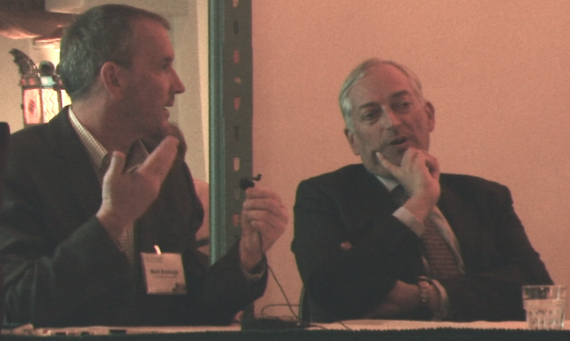 In 2011 I had the opportunity to attend the Third Santa Fe Conference on Global and Regional Climate Change along with several Heartland Experts and others who reject mainstream climate science. Some were adamant that global warming is a hoax. I gave a presentation on the value of betting on scientific predictions. I asked participants to go on record with their forecasts for future global temperatures. I even provided space on one of my posters with extra sheets for people to write down their predictions. Not a single Heartland-affiliated attendee agreed to go on record. One of Heartland's best-known experts, Christopher Monckton, dismissed my effort, telling me that scientific prediction is "a fool's errand." 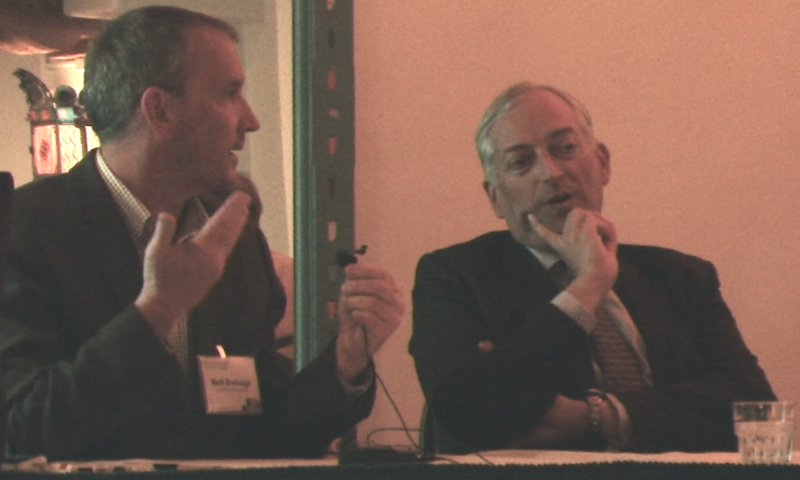 Mark Boslough and Heartland Institute Expert Christopher Monckton debated the value of scientific prediction at a 2011 conference in Santa Fe. Since I didn't get any participation, I had the conference organizer send out a message to all attendees the following weekend: "I am soliciting probabilistic predictions for global mean surface temperature anomalies for calendar year 2012. If you wish to go on record with a prediction, please send a message... and I will provide a template and instructions for your prediction." My invitation went to dozens of high-profile individuals who reject mainstream climate science. Not a single one replied. Unlike mainstream scientists, deniers do not go on record with testable climate forecasts. After three more years of relentless global warming, I spearheaded an effort to get the Heartland Institute to put their money where their mouth is. As a fellow of the Committee for Skeptical Inquiry, I wrote up a $25,000 challenge stating that 2015 would set a new climate record. It was approved by the CSI board and issued last June. We heard nothing but crickets from the Heartland Institute. Apparently they were aware that 2015 was already on track to be the hottest year in recorded history. This time I am issuing the challenge myself, with my own money. And I'm doing it before New Year's day so there aren't any "hottest months on history" in the bag already. Any takers? I'm not counting on it. Everyone knows that global warming will continue, despite what they say.